Send all of your senses into oblivion! The Zanetti family, well known all over Italy, belonged to the Mokarabia roastery, founded in Milan. The Zanettis already operated in the 17th century trade with spices and coffee. The long experience in selecting the best beans also makes the ESE pads from Mokarabia an experience. Mokarabia is an international group. It distributes coffee and coffee products worldwide. It does so with its partners, who share their taste for spreading coffee culture. And who operate in countries with a particular passion for Espresso: Italy, Germany, France, UK, USA, Sweden and Croatia. 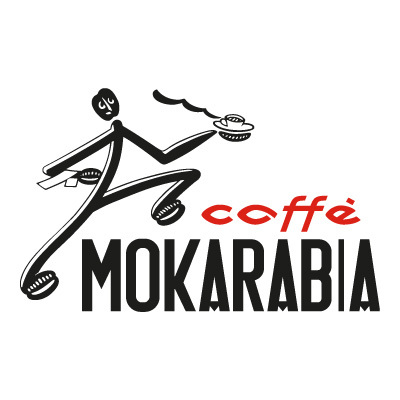 Mokarabia supplies Hotels, Restaurants and Cafés with the finest blends from around the world. To live the priceless experience of real Italian espresso in any moment and appreciate its excellence with every sip. (Mokarabia Website) The Mokarabia pods are perfect for the coffee machine that take ESE pads or 44mm pods. Have you been looking for an strong, full-bodied, typical Italian blend of all of the finest Italian coffees? 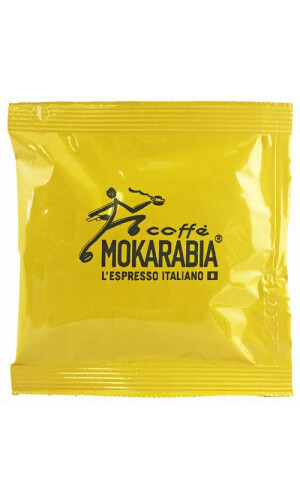 If yes, look no further than the Mokarabia ese pods which are roasted and ground to create a delicious Espresso. With its creamy like texture and chocolate aftertaste. 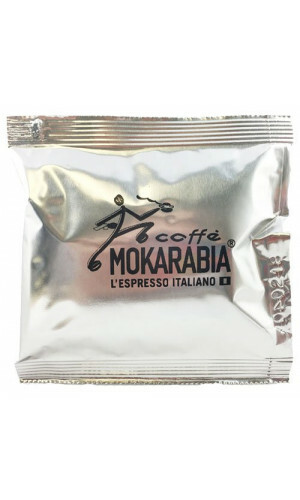 Mokarabia Strong coffee pods make an Italian Espresso coffee with a blend of strength and Italian passion! 20 Mokarabia ESE Pods STRONG, These Pods are NOT suitable for Senseo, Lavazza or any other capsule system!